My name is Azhane and I am from Philadelphia, Pennsylvania. In all honesty, I’m taking this course because my residence hall program coordinator, Laura Brown, suggested it. I wasn’t expecting it to be this interesting, but I’m glad I took up on her offer and switched out of Astro because I heard that class was madddddd hard and based on my interest I wouldn’t enjoy it. I feel this course is a lot more worth my time (and college debt). Hmmmm, since I am in discover house, I wasn’t exactly not planning on being a science major. I am keeping my options open and staying very open minded while in discover house because my whole purpose in this special living option is to explore. AND I ABSOLUTELY LOVEEEEEEEEEEEEEEEE SCANDAL! LIV IS LIFE! 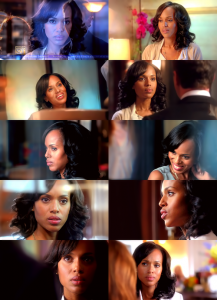 This entry was posted in Uncategorized and tagged Olivia, Pope, Scandal on September 2, 2014 by No Name.